A new audiovisual performance marking 100 years of votes for women. 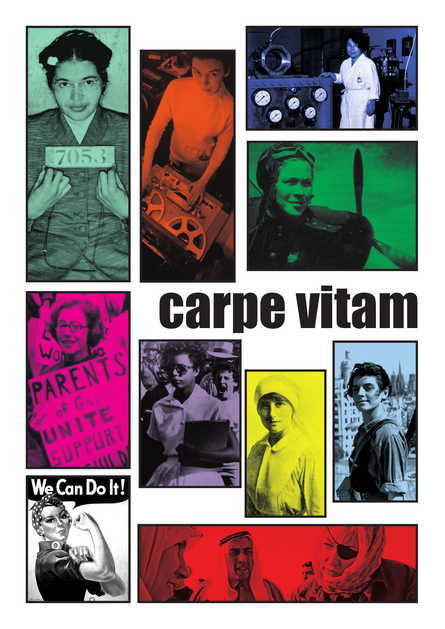 Carpe Vitam documents women’s journey to make their own way in the world, starting with the struggle for women’s rights to work, women working during WWI and votes for women, and continuing through the decades with inspirational women up to the present day. Vibrant imagery, live camera work, electronics and acoustic instruments are joined by the voices of Chetham’s young singers in an outstanding evening of music. Also featured in the programme is The Pankhurst Anthem, commissioned by the BBC from composer Lucy Pankhurst and writer Helen Pankhurst based on words written by their great-grandmother Emmeline; a discussion with Laura Rossi, Romana Bellinger and Mike Eden on the creation of Carpe Vitam; and other vocal works performed by Chetham’s Chamber Choir.